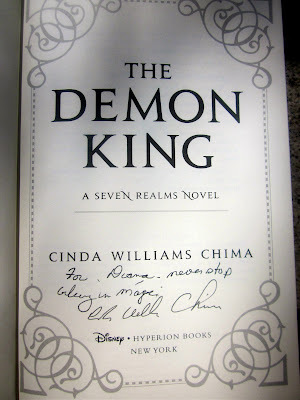 On Tuesday, September 20th, YA, fantasy author Cinda Williams Chima came to the Provo City Library while touring for her newest book, The Grey Wolf Throne, third in her Seven Realms series. She gave a very fun and inspiring presentation, complete with PowerPoint. 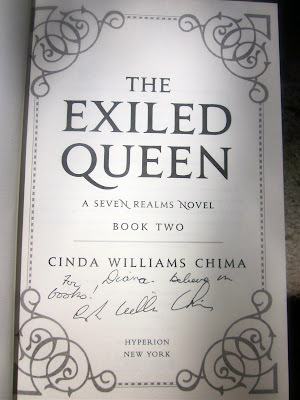 Cinda is also the author of the popular Heir Chronicles, of which she announced there will be two more in the near future (there are currently three). During her introduction, something was mentioned about talking animals and barbies (I assume this had to do with her creative imagination. Come on, you know you did it too) and the fact that she began writing poetry and novels at a young age. 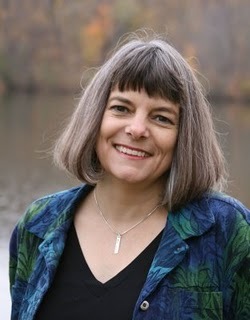 Cinda was born in Ohio and lives there today (Ohio is the setting for the Heir books. She also lived in Arkansas for a time when she was younger) with her husband (her two boys are up and grown!). For more information about Cinda (including and not including what she shares in the video below) check out "The Real Story". It's pretty cool. It involves fortune telling and stuffed teddy bears. 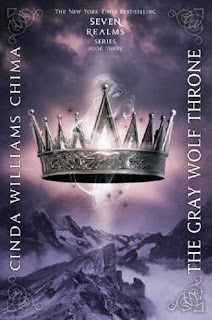 Here is the official Grey Wolf Throne trailer that Cinda showed during her presentation. It's awesome!